HRH Prince Harry (, Duke of Sussex, the second son of Charles, Prince of Wales and Diana, Princess of Wales Married The American-born former Actress Meghan Markle, who is known for her role in the American legal-drama television series Suits, on Saturday. 19 May at St. George’s Chapel, Windsor Castle, London. 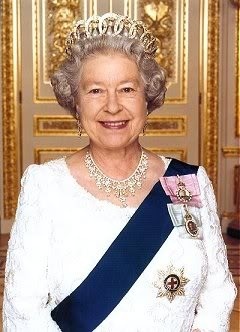 The Queen consented to the marriage under the Succession to the Crown Act 2013, which allows the monarch to approve or disapprove marriages of the first six persons in the line of succession. Harry was fifth in line at the time of his engagement. After the engagement, Markle began the years-long process of becoming a British citizen. She will retain her U.S. citizenship during the process. The British government decided that the wedding day would not be a bank holiday, as was done for the wedding of Prince William and Catherine Middleton. The wedding was on the same date as the FA Cup Final between Chelsea and Manchester United (which ended 1:0), which Prince Harry’s brother William normally attends in his role as President of the Football Association. St. George’s chapel has previously been used for the weddings of Prince Harry’s uncle, the Earl of Wessex, and his cousin, Peter Phillips, as well as the blessing for the marriage of the Prince of Wales and the Duchess of Cornwall, Harry’s stepmother. The service began at midday and was conducted by the Dean of Windsor, The Rt Revd. David Conner. The Most Revd. and Rt Hon. Justin Welby, Archbishop of Canterbury performed the marriage ceremony while The sermon was delivered by The Most Reverend Michael Curry, presiding bishop and primate of the Episcopal Church (the American member church of the Anglican Communion) who emphasised the redemptive property of love. The Queen’s chaplain, The Reverend Prebendary Rose Hudson-Wilkin, and the Coptic Orthodox Archbishop of London, Anba Angaelos also offered the prayers. They will become the 16th royal couple to celebrate their marriage at Windsor Castle since 1863. The order of service was conducted by the Dean of Windsor and officiated by the Archbishop of Canterbury. The Music was conducted by Christopher Warren-green. The couple have selected words from The Marriage Service from Common Worship (2000), using contemporary language – such as the word “you” instead of “thee” and “thou” – and, as is common these days, Markle will not promise to “obey” Harry. Music was provided by Two choirs, an orchestra and fanfare trumpeters plus an orchestra made up of musicians from the BBC National Orchestra of Wales, the English Chamber Orchestra and the Philharmonia Orchestra. In addition to the Choir of St George’s Chapel, the Kingdom Choir, a gospel group, also sang, while the State Trumpeters of the Household Cavalry gave a fanfare. The State Trumpeters included Kate Sandford, thus making her the first female state trumpeter at a British royal wedding. The music was under the overall direction of James Vivian, the chapel’s Organist and Director of Music; the Kingdom Choir was conducted by Karen Gibson, and the orchestra was conducted by Christopher Warren-Green Ben E King’s soul classic “Stand By Me” was performed by Karen Gibson and The Kingdom Choir, and a gospel choir performed Etta James’s version of “Amen/This Little Light of Mine” as the newlyweds leave the chapel. Hymns include the Welsh rugby anthem “Guide Me, O Thou Great Redeemer”, otherwise known as “Bread of Heaven”. Other music included “Eternal source of light divine” (from the Ode for the Birthday of Queen Anne) by George Frederick Handel; the motet “If ye love me” by Thomas Tallis and “The Lord bless you and keep you” by John Rutter. Other Works performed during the signing of the register included Sicilienne by Maria Theresia von Paradis, Après un rêve by Gabriel Fauré and Ave Maria by Franz Schubert (soloist was the cellist Sheku Kanneh-Mason). During the procession, the musicians performed the Allegro from Symphony no. 1 in B-flat by William Boyce and “This Little Light of Mine” by Etta James. The Day before the wedding Meghan and Prince Harry left Kensington Palace. Meghan Markle and her Mother Doria Ragland, a yoga instructor and social worker from Los Angeles, stayed at Cliveden House Hotel, Berkshire on Thursday and Prince Harry and his brother William stayed at Coworth Park, a five-star country house a stone’s throw from Windsor and one that has been the venue for many a royal polo match and his first public kiss with Meghan. Meghan Markle’s ring has been fashioned from a piece of Welsh Gold, gifted by The Queen, and Prince Harry’s ring is a platinum Band with a textured finish. Both rings were crafted in the Cleave workshop, and were carried to the chapel by the Duke of Cambridge, in his capacity as best man. The service was attended by HM Queen Elizabeth, Prince Philip Duke of Edinburgh, Prince Charles, the Duchess of Cornwall, William and Catherine the Duke and Duchess of Cambridge, Prince William, Duke of Cambridge, was best man, Prince Edward, Sophie, Countess of Wessex, Prince Andrew, Princess Eugenie, Princess Beatrice, Princess Ann, Mark Philips, Mike Tindall and Zara Philips, Earl Spencer, Sarah Ferguson, and Doria Ragland, future nephew and niece, Prince George and Princess Charlotte. Prince Harry’s aunt, Baroness Fellowes, sister of Harry’s mother the late Diana, Princess of Wales, delivered a reading. Other Guests include Meghan’s Suits co-stars Patrick J. Adams (with wife Troian Bellisario), Gabriel Macht, Sarah Rafferty, Gina Torres and Abigail Spencer. Plus Cressida Bonas, Chelsy Davy, Oprah Winfrey, Carol Middleton, Sir Clive and Lady Jayne Woodward, Earl Spencer, George and Amal Clooney, David and Victoria Beckham, Jonny Wilkinson, James Haskell, Joss Stone, James Blunt, Marcus Mumford, Dean Stott, Sir Elton John and David Furnish, fashion designer Emilia Wickstead, James Cordon, Ben Winston, Jo Elvin, Serena Williams (with husband Alexis Ohanian), Idris Elba, Carey Mulligan, Former prime minister John Major, and David Manning. Among Prince Harry’s friends, Owen Inskip, Guy Pelly and Lizzy Wilson and Arthur Landon were in attendance. Among Markle’s, Jessica Mulroney, Misha Nonoo, Janina Gavankar, Abigail Spencer . Priyanka Chopra were also present All three siblings of Diana, Princess of Wales were in attendance including Earl Spencer and Lady Jane Fellowes. However Megan Markles half-siblings, Samantha Markle and Thomas Markle Jnr, were not present. Neither was Markle’s father, Thomas Markle, following an ill advised photograph debacle and because of his ill health having just had an heart operation. The couple decided to forgo any traditional wedding presents in favour of donations to the following causes: CHIVA (Children’s HIV Association), Crisis (a UK-based homelessness charity), the Myna Mahila Foundation (a charity that supports women in Mumbai’s urban slums), Scotty’s Little Soldiers (which helps bereaved Armed Forces children), StreetGames (a foundation using sport to change lives), Surfers against Sewage and The Wilderness Foundation UK (which promotes the enjoyment of wild nature).